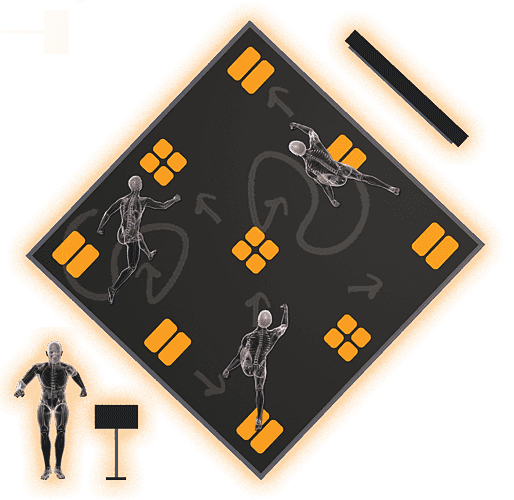 Power Area with integrated sensors for cognitive speed training for fitness. A 65-inch-display shows the exercise tasks like routes or actions and gives feedback about their correct execution. 24 sensors which are integrated into the Power-Area check a 1000 times per second the correct execution of the traininn tasks. The complete training is analysed and parameters like distance, velocity and reaction time are displayed and ranked. For individual training or groups up to 9.